Fulton, Marint & Andres, P.C. In a nutshell, Iowa workers’ compensation law provides injured workers 3 types of benefits: (1) medical care; (2) weekly benefits for work time missed due to the injury; and (3) compensation for permanent disability. 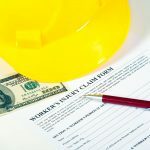 Your employer’s workers’ compensation insurance carrier will work hard to deny you these rights to save money. They do this by ignoring you, selecting doctors to treat you that will follow their orders, and making life difficult for you at work so that you will quit. 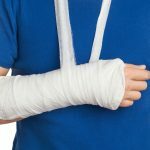 Receiving appropriate medical care following a work injury is often difficult because the insurance company is more interested in how much it costs them than whether you get better. If you are unhappy with your care we will review your medical records and, if necessary and appropriate, obtain a hearing with a judge to obtain more appropriate care. In fact, we can often get you a hearing within 10 days on medical issues. If you are off work because of your injury you are entitled to weekly benefits. Insurance companies frequently deny these benefits for frivolous reasons, fail to issue weekly checks on a timely basis, and attempt to return you to work before you are medically ready. We will ensure that the insurance company knows it will be penalized by the workers’ compensation carrier if it denies benefits on an erroneous basis or fails to pay them in a timely fashion. Many workers continue to have symptoms and resulting disability even after their treatment is completed. The insurance carrier will very likely obtain a report from an occupational doctor stating that you have no permanent impairment or disability. Fortunately, Iowa law provides you with the right to obtain a disability evaluation from a physician of your choice at the insurance company’s expense. We are prepared to guide you through this process and do everything necessary to make sure you receive a fair and unbiased evaluation. Insurance carriers are very rarely willing to pay a fair settlement without litigation. When the time comes and if you direct us to do so, we will file your case with the Iowa Workers’ Compensation Commissioner and proceed through the litigation process. If the insurance carrier refuses to offer a fair settlement, we will go to trial on your case. At Fulton, Martin & Andres, P.C. we will work tirelessly to ensure that you receive everything you are entitled to. Please Contact Us to schedule your free initial consultation. Many workers develop physical and mental conditions over their working life that ultimately prevent them. If you do not have a sufficient earnings record to qualify for Social Security disability, but are disabled, you may still qualify for Supplemental Security Income if your income is low enough. If you have been injured in a car accident, as the result of a slip-and-fall, or through some other negligent act of another person, you are likely dealing with issues that are new to you—and you likely have questions about the process. We are here to help answer those questions and to inform you of your rights under Iowa law. We offer free initial consultations, so the only thing you have to lose is a small amount of your time. Below we provide a brief explanation of some of the key issues that can arise if you have suffered a personal injury that is the fault of another person or a corporation. First, you should know that you are now dealing with an insurance company—usually the other party’s insurance company. The insurance company’s number-one objective is to settle your claim for as little as possible—this is how the insurance industry makes profits year in and year out. You should also know that the insurance company wants to settle your claim as quickly as possible, before you have time to realize the full extent of your injuries and the lasting harm you may suffer. The insurance company will likely discourage you from speaking with an attorney, and instead suggest that you can resolve the claim faster on your own while also avoiding paying an attorney. What the insurance company won’t tell you is the full extent of your rights under Iowa law and that Iowa law provides compensation for a variety of damages that the insurance company will not voluntarily pay. Second, you should know that your medical care is a very important part of the process if you have been injured as a result of another person’s negligence. It is important that you follow through on doctors’ recommendations so you can make the fullest recovery possible. Also, if you do not follow through on your doctors’ recommendations the insurance company will likely claim that you failed to mitigate your damages. Medical issues are best dealt with on a case-by-case basis, so do not hesitate to call if you have questions regarding this issue. Third, you should know that your own insurance coverage—both medical and automobile—could be involved in your accident, particularly if the other party does not have adequate insurance coverage for your damages. We can help investigate all possible sources of recovery if you have been injured in a car wreck or other personal injury. In summary, if you have been injured in a motor vehicle collision or some other personal injury, we can help answer the many questions you may have about the process. We are happy to speak with you regarding your potential claim, and offer a free initial consultation on all car wreck or personal injury matters. Please feel free to contact us to schedule a time to discuss your matter, at no cost to you. If you have lost your job through no fault of your own you will typically be qualified for unemployment benefits. 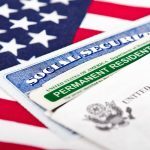 Unfortunately, employers often attempt to avoid liability for these benefits by mischaracterizing the reason for your separation from employment. 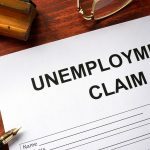 If you have been denied unemployment benefits we can guide you through the process of filing an appeal and represent you at the appeal hearing. If you have been awarded benefits, but your employer has filed an appeal we can likewise represent you at the hearing. We have great success on these claims because we know all the standard tricks employers use at these hearings. We will have the judge issue subpoenas to your former employer to obtain the documents and information we need to prove your claim. We also know the unemployment law very well and are used to working with the unemployment judges. 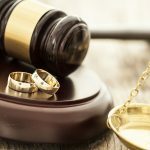 For many people, family law is one of the only areas of the legal system that they will interact with in their life. This may be due to divorce, a paternity suit, or child support modification. Many people also feel that they can navigate this part of the legal system on their own without legal representation. Unfortunately, family law is like many other areas of the law that are becoming more and more complex. Retaining counsel is the best way to ensure that you are not taken advantage of by the opposing party. 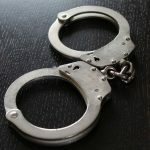 Criminal law or penal law is the body of law that relates to crime. It regulates social conduct and proscribes whatever is threatening, harmful, or otherwise endangering to the property, health, safety, and moral welfare of people. It includes the punishment of people who violate these laws. © Copyright 2019. fULTON, MARTIN, ANDRES. All rights reserved.